FIDE Deputy President Mr. Georgios Makropoulos announced his candidacy for FIDE President at the forthcoming elections in Batumi, Georgia, on 3rd October, 2018. 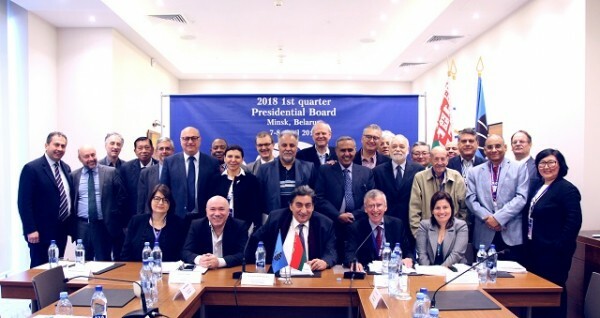 Mr. Makropoulos made the announcement during the FIDE Presidential Board in Minsk. He advised that he had been approached by the majority of the Presidential Board and many delegates asking him to run for President to sort out the present problems and ensure stability in FIDE. Georgios Makropoulos is President of the Greek Chess Federation since 1982 and has been re-elected to this position 11 times. He was first elected FIDE Vice President in 1986 and since 1996 he is in position of FIDE Deputy President. The FIDE elections will be held during the 43rd Chess Olympiad in Batumi.